My mission and aim is to help you transform your life so that you experience the life you truly desire. Just like the Lotus flower rising out of the mud, you can also become a beautiful flower, regardless of the past and present circumstances, setbacks and challenges and empower yourself to create a positive, fulfilling life. The sessions and readings take place at my own residence in a quiet, peaceful room adapted for meditative and healing work. It enables me to give you all the attention required and extent the sessions if needed (for the same rate). I used to hire therapy rooms in the past but experience has taught me that it was not really fair on my clients as we are restricted by time and under pressure to fit a session within one hour or less. Commuting in London being challenging as it is, my clients were often delayed and getting into an agitated state before reaching me or having to avail a shortened version of their session. I have bypassed all these drawbacks and can offer you my time in a relaxed, peaceful atmosphere. Alternatively, for longer sessions such as EIP and energy healing, I can see you at a peaceful but central location in Limehouse, close to the Docklands and Liverpool street., only 2 minutes walk from Limehouse station. BEFORE YOU ORDER ANY SERVICES, PLEASE KINDLY CONTACT ME BY PHONE OR EMAIL FOR ME TO CONFIRM THAT I AM AVAILABLE TO DEAL WITH YOUR REQUEST. Readings are discounted down to £35 (an hour reading) until 31st of March 2018.
in one's life. Miraculous and Brilliant ! taking me step at the time how to use this tool correctly. subject it is, and indeed it required a qualified and experienced teacher. professional in this field. From London, Goodmayes. Mr Jiri Smid. Just a note to say a great thank you for the reading last Thursday. Your analysis regarding numerology in my case was absolutely astonishing and very accurate. The other aspects of the reading were most helpful and I came away with a renewed sense of hope and optimism. Seldom have I come across someone like François. But I have to be honest. When I first came to his home 10 years ago, I was a bit skeptical and cautious. I had had a strange experience with a medium just before and I was not really at ease. An awfully big number of mediums/tarot readers are driven by their ego and they project onto you their own fears. However, after few minutes of conversation, I understood I was in front of a very different kind of spirit. François was soft-spoken, very careful with his words and more of an adviser and good friend than somebody imposing his views. It is only recently that I came across the notes from this reading. He was spot on all along the way and the last 10 years had followed the course he had sensed. I now live abroad and our recent Skype session just reminded me how talented François is. He managed to go the heart of my current issues with precision and kindness giving me precious insights on the course to take to achieve my full potential. 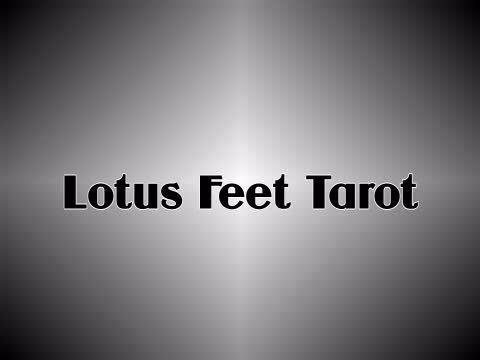 His instant access to his spiritual guides added a lot of value to the tarot reading and the details that were shared were outstanding in their accuracy. I was wowed, once again. I can only thank the Higher Intelligence for getting me to cross his path. Thank you François: you have all my gratitude. Thank you, Francois. My feedback is as follows. P.was in an exceptionally good mood yesterday, he went to London with his colleagues for his course. he enjoyed immensely. he said that he hadn't felt so good and free for ages. he said its like how he used to be. free and happy. Thank you, this is brilliant.I am getting my son back! I met François in July 2015 after a recommendation, I did not know what to expect and felt apprehensive but ready for my spiritual step. I had always felt a connection to my spiritual side but did not know how to access it; François helped me to achieve this. Not only was he aware of my insecurities but also attentive in making me feel at ease with my journey. I have had both the opportunity and experience to have his guidance in E.I.P and remote work, in aiding my family and me. I would recommend François to anyone who is on a spiritual journey and need guidance, also to those who are not sure of what they are feeling and searching for answers to questions they may have. I can honestly say you are in safe hands with François, whatever your needs maybe. I would like to leave a feedback for Francois, as I feel he is one of the rare few psychic readers, healers and guides, a professional in every sense of the word, with high ethics and values and very kind, open and understanding heart. Francois helped me in gaining clarity in business, personal and spiritual development matters through reading sessions and with his dowsing ability which I must say is phenomenal. With a lot of Gratitude and Thanks to you Francois. Hi Francois, Today I was digging some emails email and came across the reading you did for me. I read it over.Prediction about book and university as well as teacher came true. Francois is an expert dowser. Although I dowse as well, Francoise's life long experience shows in the way that he always knows what are the right questions to ask and that he always makes sure that the answers he gets are the most beneficial and for the highest good. All I can say is “Wow”. I want to thank you for your additional feedback. It is like a lightbulb went off in my head. Can you recommend any websites, or books on emotional healing. I was thinking with your practice you may have come across some very valuable tools. I will certainly check the library out! Thanks for commenting on the basic threadwork of what the other psychic stated. That was why I sent the reading. You have confirmed my thoughts! In line with current legislation, psychic services are for entertainment only.
. How to derive the most benefit from a reading with me?
. A tale of 2 (or more…) lives. A little anecdote.,.